Not long ago I watched the 1932 version of A BILL OF DIVORCEMENT. It was Kate's motion picture debut and she did a nice job. I especially enjoyed her scenes with leading man David Manners. Has anyone else seen this movie? I have seen the film. What originally peaked my interest was John Barrymore. Fine film and the actor is very good but it does come off as a stage play and sometimes the acting looks, well, too much like acting. E.g. some of the scenes between Kate and John;. There's a remake that RKO made in 1940 with Maureen O'Hara taking over the lead role. Adolphe Menjou and Fay Bainter play the parents. It has never aired on TCM, not even when O'Hara was Star of the Month. I've been curious about it, to see how it compares to Cukor's version. I don't think I've seen A Bill of Divorcement. It certainly looks enticing. I love Pre-Code films. A nice looking print of it turns up sometimes on YouTube. It's OK; not great but not bad and certainly noteworthy for its place in film history (Kate's first film, John Barrymore's performance - he's not boozy or hammy). 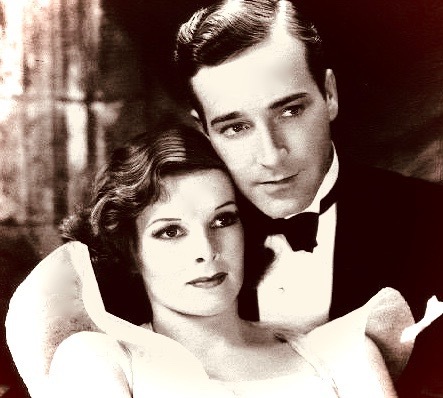 David Manners deftly played the young male love interest to several ladies in '30s flicks including some early Universal horror classics and he was a talented actor. He wasn't into ladies in the "real world." I have, and it's a good debut. Though its Katharine Hepburn's only supporting role, the film is really John Barrymore. His portrayal as a shell-shocked WWI veteran really touched me, particularly when he tries to win back Billie Burke. She made two more before the Production Code- have you seen those? I assume you mean MORNING GLORY (which I love) and CHRISTOPHER STRONG (which I haven't seen in a while). I assume you mean MORNING GLORY (which I love) and CHRISTOPHER STRONG (which I loathe). Yes, I mean those. I've only seen Morning Glory (1933), and I just got it on DVD. Do you mind me asking why you loathe Christopher Strong (1933)? I've never seen it, and outside of my favorable bias towards Katharine Hepburn, I haven't exactly read a negative review. I knew you were going to quote me before I had a chance to revise my earlier post. LOL I took the word 'loathe' out because I realized it was too strong a reaction, plus I haven't seen the film in awhile. But I do remember not caring for it because I felt the story didn't flow properly. Normally I like Dorothy Arzner's films-- CRAIG'S WIFE; THE BRIDE WORE RED; and FIRST COMES COURAGE are ones I enjoy a lot. But something about CHRISTOPHER STRONG does't work for me. I'd have to re-watch it to put my finger on what it is exactly. Cool. Please let me know when you do re-watch and find what exactly doesn't fit for you. Story not flowing is a good thing to note. I've only seen the trailer. Sure. I used to have a copy of it, recorded off TCM. I need to look and see if I still have it. MORNING GLORY is one that stays etched in my memory. She's so good in it. I wish she'd worked with Douglas Fairbanks Jr in more films. Me too. 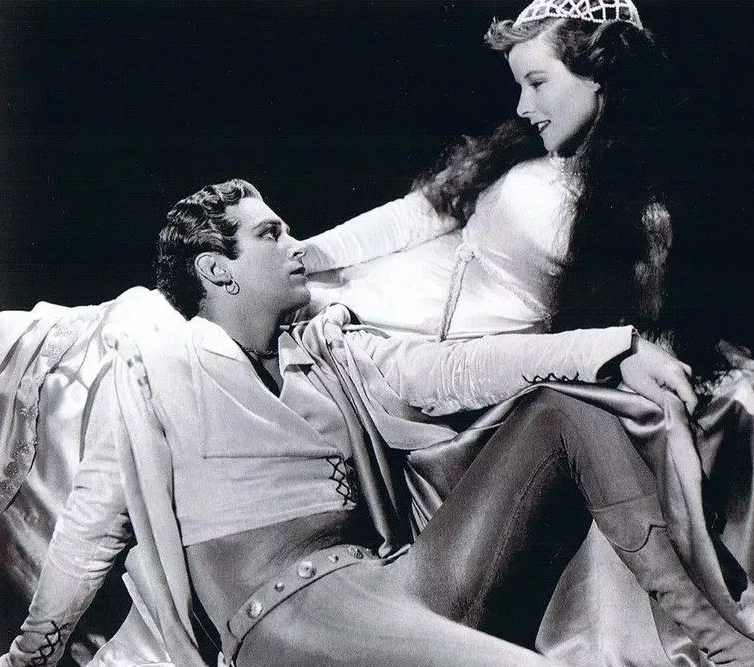 I want to see if the deleted scene of Douglas Fairbanks, Jr. and Katharine Hepburn perform a scene from Romeo & Juliet. Apparently Douglas Fairbanks, Sr. and Mary Pickford came to watch that scene. These two should have done Romeo & Juliet for MGM, not Shearer and Howard who were way too old. Would have loved to see this movie made. Yes that would have worked too.